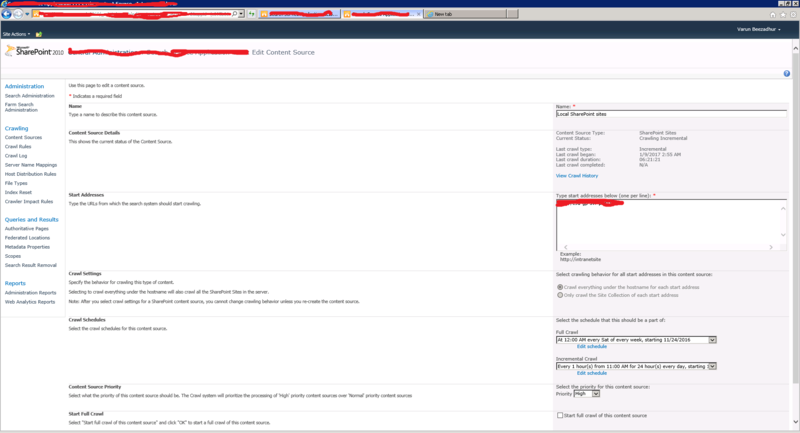 I have a SharePoint 2010 environment configured for content search with schedule as defined in the screenshot below. from past 1 or 2 months I am facing a very strange issue and unable to get any resolution for the same. I have configured the incremental crawl to repeat every hour. This was running perfect but suddenly one day it stopped. Now incremental crawl takes too much time than expected i.e., it takes 8-9 hours on an average to get complete. In this time also it only crawls maximum 10-15 records. The crawl history is shown in the screenshot below. can anyone suggest how can I fix this issue ? Most of your incremental crawls do have a massive amount of Security Updates (last column). If the number of Security-Updates decreases, your crawls finish much faster. Why do security only crawls take so long? The time difference in crawl can be attributed to expansion of the SharePoint Group and also that the group is at the site collection level and affects items beyond the list. 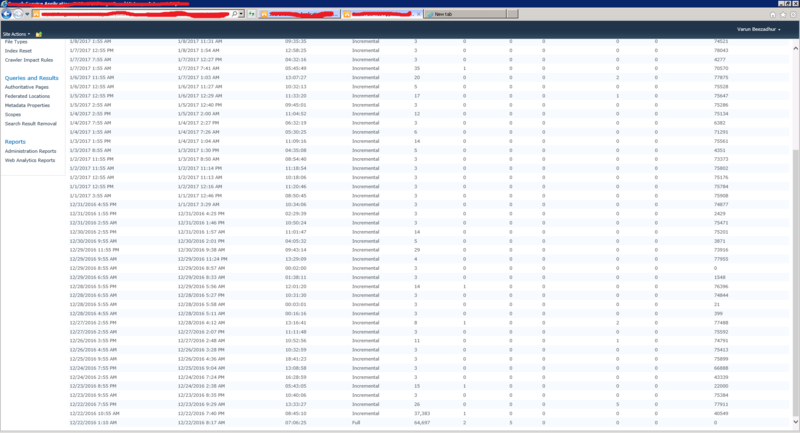 If a Sharepoint group has several thousand users at site collection level, you can see how this can be very expensive. Also, a large number of items within that site collection can add to the delay because new ACL changes will be pushed down to every item affected by the security change. How can I work around this and prevent security only crawls from affecting incremental crawl times? Instead of users explicitly added to Sharepoint groups, add AD groups instead. Managing adding/removing users from Active Directory security groups will not cause ACL changes within Sharepoint. Because of this, no security only crawls will occur. I had a similar problem with full crawl on SP2013 (it was running for several days) and the solution was to reset the search index and run the full crawl again - after that the crawls were taking normal times like before. This blog post describes all the necessary steps for reseting the search index (it is written for SP2013 but it also applies for SP2010). There is also the official MS page on this topic. Not the answer you're looking for? Browse other questions tagged 2010 search searchserviceapplication incremental-crawl or ask your own question. Search Incremental Crawl duration notification?